Growing up in the New York City area, Katie is no stranger to art, fashion and jewelry. She feels right at home in Historic Roswell surrounded by galleries and restaurants. A graduate of Emory University and Bank Street College of Education, Katie's background in history and teaching has prepared her well for her role at Brilliant. 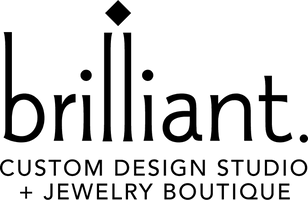 Her desire to fill the cases at Brilliant with"the right piece for every client" provides an array of fashion jewelry that tells a story at every price point.